If this is the year your air conditioning unit will finally call it quits, you probably would like to know about it before the summer's heat hits! In this post, learn some handy warnings signs that it’s time to replace your A/C unit before it conks out. Also, learn some tips for selecting the best new air conditioning unit for your home size and cooling needs. If your unit has a decade of service under its belt, there is a good chance it will soon begin to need pricey repairs, if it hasn't already. Plus, you can save up to 20 percent on your energy costs by replacing an old unit of this kind with a new Energy Star-rated unit. 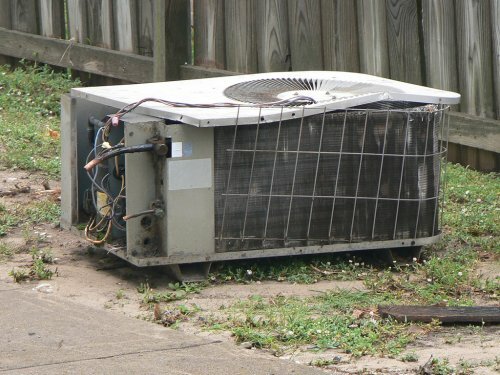 If this and that breaks or cracks or simply stops working, it’s a sign the components in your A/C unit are wearing out. You can either keep on replacing them (enduring probable outages as you do) or consider an upgrade, investing what you would have spent on repairs in a new unit instead. If your indoor air feels more humid, this is a sign that the ductwork system in your current A/C unit may be leaking, cracked, or wearing out. Finding you are having to dust more frequently is a similar sign the ductwork may be compromised. Here, you have two options: schedule a duct cleaning and see if this resolves the issue or consider changing out your A/C system. If your air conditioning kicks on and makes an odd series of rattles, knocks, sighs, or bangs, or if your unit continues making these noises throughout the average cycle, at the very least you may be looking at some loose, worn out, or broken internal parts. But you may also be hearing the insistent signs of an A/C unit demanding its retirement. A service call can determine whether the sounds are those of "repairs" or indicate a replacement is needed instead. Finally, if it seems like you are paying more to get the same level of cool air and your local utility prices haven't increased measurably, it could just be that your air conditioning unit is having to pull much more power to do the same work. Here, you stand to save money by upgrading your unit, even though it is technically still functional. When you have decided it is time to replace your air conditioning unit, these are the steps you will want to take. Your first step will involve calculating your home's square footage (Energy Star offers a handy calculation guide you may find helpful). Once you have figured out the size of the space that needs cooling, you can choose a unit that is appropriately sized for your home. NOTE: One trap many homeowners fall into is selecting a more powerful unit than their home requires. Not only will this cost you more in energy bills, but it may not be as effective at removing the humidity from your indoor air. You will know you have the right unit installed when your indoor air easily reaches the coolness you desire and is also free from uncomfortable or clammy humidity. Units that bear the Energy Star certification will have a higher SEER (seasonal energy efficiency ratio) and will use up to 8 percent less energy to do the same cooling job. Here at Shipton's, we recommend the EcoAir and UltraAir units both for their SEER ratings and their overall environmentally friendly approach to providing air cooling. After doing all that research, all that’s left is the easy part: to pick out the unit that is sized appropriately for your home. You can then schedule a time for your service technician to come out, remove your under-functioning or non-functional A/C unit and replace it with your brand-new, efficient air conditioner! NOTE: Before you make your final unit selection, it is also a wise idea to take a good look at the warranty coverage. You will want to make sure the manufacturer stands behind its products and has a positive customer rating for warranty claims. 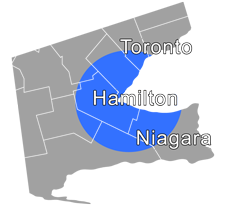 Here at Shipton's Heating & Cooling, we have been serving homeowners in the Hamilton and surrounding areas for more than 90 years. Our specializations include air conditioning, heating, air ductwork, water heaters, air purification, and HVAC repairs/maintenance. If you need help with A/C repair/maintenance, or it is time to replace your A/C unit, contact us for a free consultation at 905-549-4616 or online here.